Remixed by I-Cue of Ingenious Music. Engineered By Carlos “C12” Bess. Gang Starr Foundation Legends Big Shug & Krumb Snatcha come together on a record for the first time in 10 years. They bring rising Boston MC’s & frequent collaborators/protégé’s M-Dot & Singapore Kane along for the ride. Avirex (of Krumb’s group WOLVES) adds a verse to the posse cut as well. The song will also appear on Krumb Snatcha & M-Dot’s collaborative EP (due out in early 2012). Produced by Reef Ali. Scratches by Dj Grazzhoppa. “When the Bass Drops” comes with the potential to absolutely enchant you: Massive trippy-funky dubstep-riffs meet with Ill-Esha´s unique soul voice – a magical acoustic tightrope walk between Dubstep, Hip-Hop, Soul and Trip-Hop as I-Cue himself calls it…. Trip-Step or Dub-Hop. Featuring an Ill Esha Rmx, a Kooky Rmx, a Frozen Smoke Rmx, a Billy Ray Stylus Rmx, a DJ Odyssey Rmx, and a Mightiness Rmx!!! 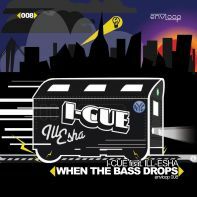 Don’t miss out on one of the best E.P’s to come from I-Cue yet!! He’s a prolific producer!! NYC!! O.G. ORIGINAL INGENIOUS MUSIC CREATOR!! Release date on all major download portals: May 17th, 2012. Poor Vida and Rec Shop bring you the Elements of Hip Hop 2012. The third annual EOHH festival in Dallas, TX, showcasing the best hip hop acts and talent in the southwest. Video by Teddy Cool.